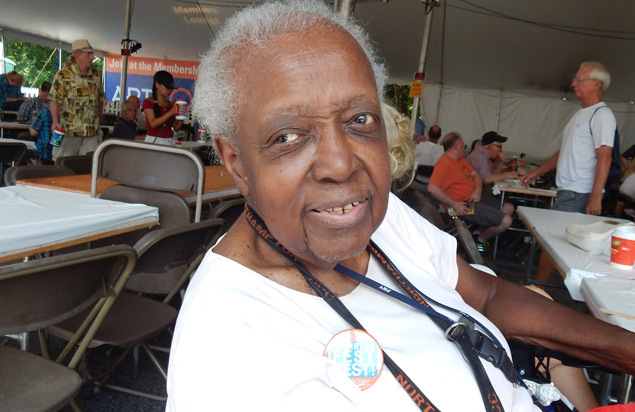 Even at 90 years old, Elaine Francis of Bethlehem wasn’t about to miss Musikfest 2016. She’s attended every festival,without fail, since it began 33 years ago. As a longtime fester, she uses the festival sites as landmarks to explain where she lives. As luck would have it, Festplatz, where her favorite polka music is played, is the first tent she runs into when she comes down Union Boulevard to Musikfest. She fondly recalls listening to the visiting German bands that played there and says another favorite were the Big Band jazz groups. Francis also loves the wide array of food, but has too many favorites to list. So what keeps the nonagenarian going so strong? Three things, she says.